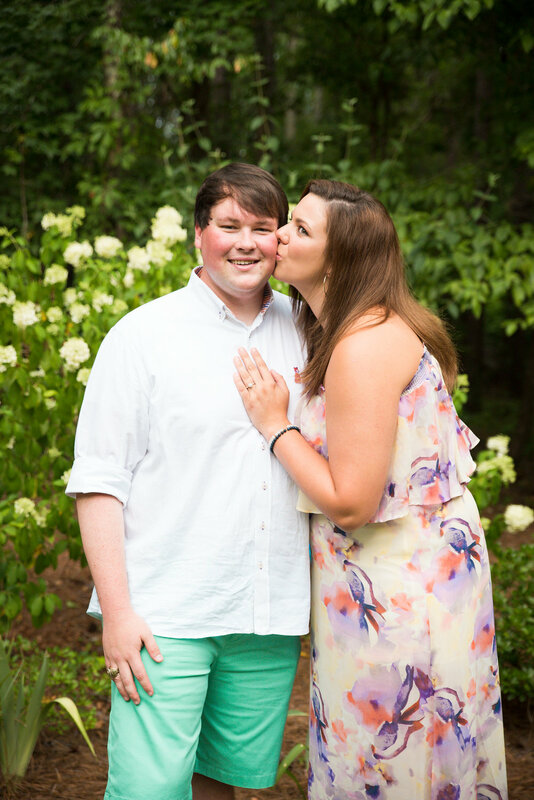 Andrew & Katie got engaged! I was apart of something so special! 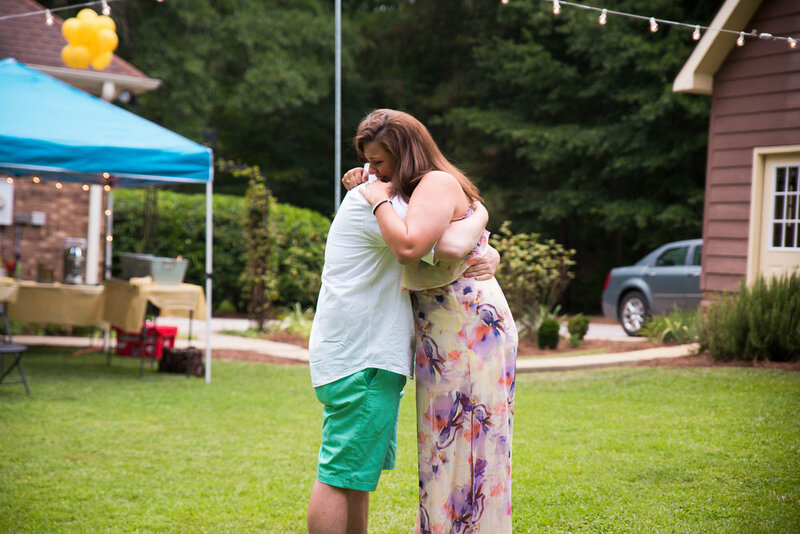 Katie's dad contacted me about a surprise engagement for his daughter and I just couldn't pass it up! 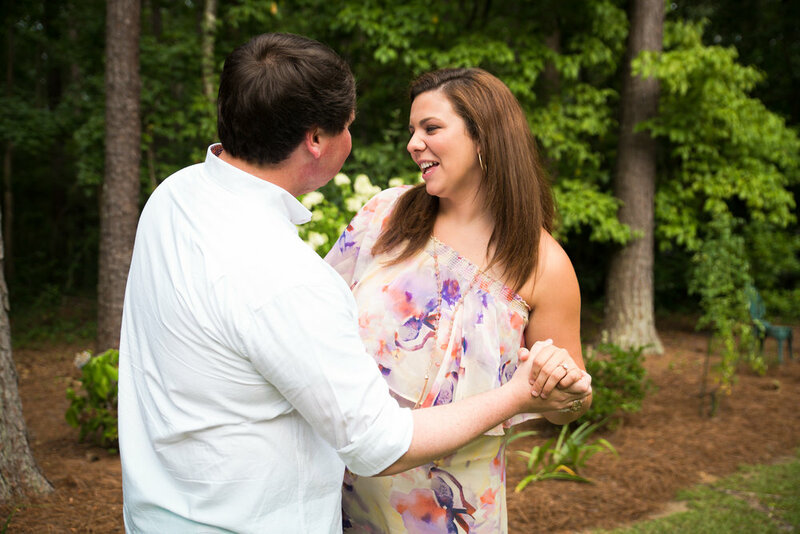 Andrew's family had planned a party specifically so that he could propose to his high school sweetheart. 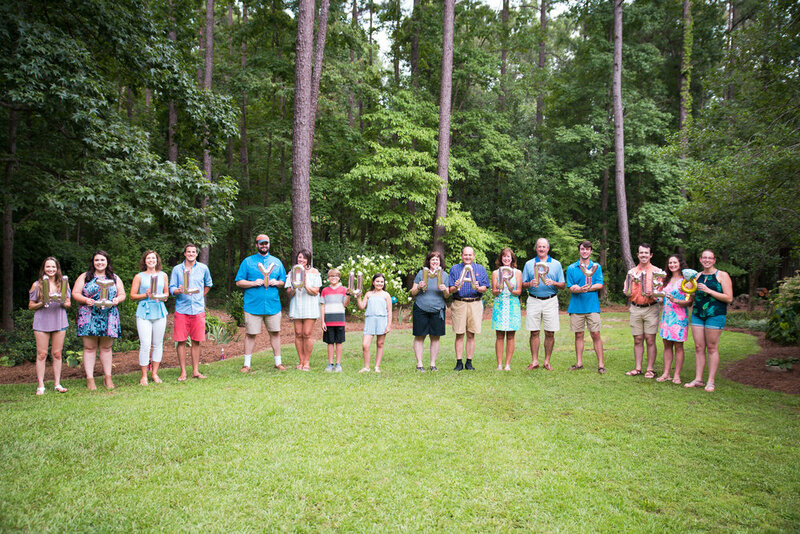 I was surrounded by both of Andrew and Katie's closest friends and family while he led her to the backyard where everyone lined up with the letters "will you marry me" spelled out in balloons. Katie's reaction was filled with surprise and shock as well as excitement. 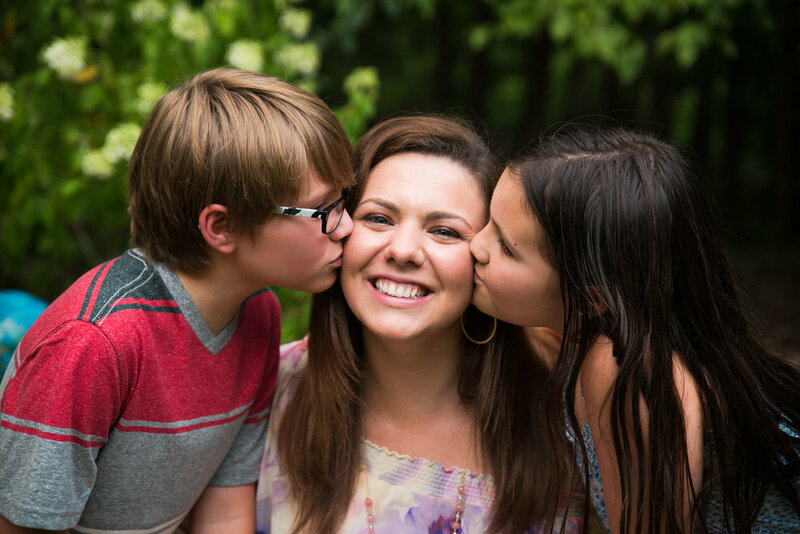 I had such a wonderful evening capturing this special moment and getting to know both of their families as well as their story. 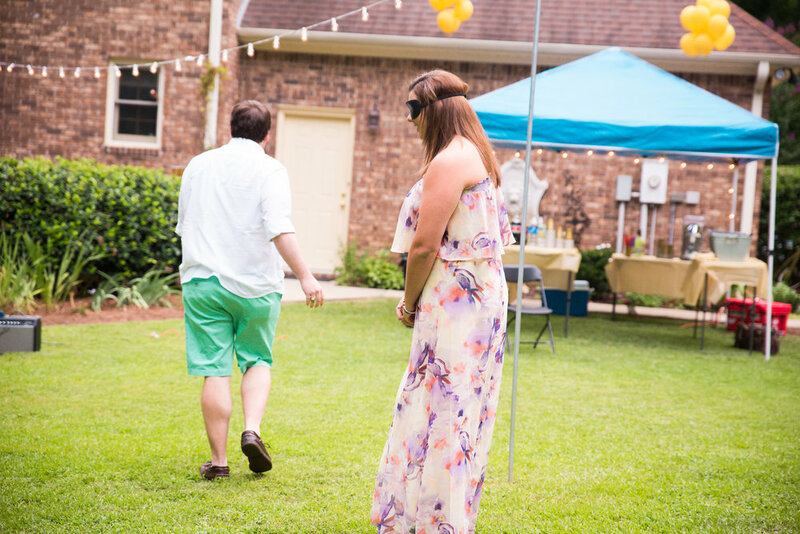 Andrew and Katie met in high school and went to prom together and had been together ever since. They have both graduated college and are now going to different graduate schools in different states and Andrew decided to go ahead and seal the deal before Katie went off to Tennessee. 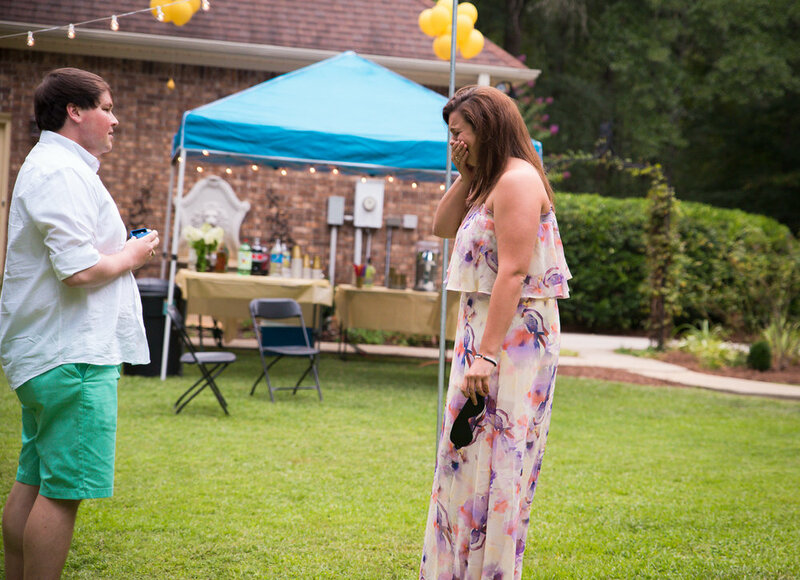 Katie was so surprised and never expected to be proposed to. She said that she thought that he was going to give her a horse as a going away gift but in a way he did! The engagement ring Andrew gave her has two horse shoes on either side which is a perfect touch.